Continue this process until all of the batter is done. The great thing about pancakes, other than everything, is they’re fun but also nourishing & filling. Kids love helping out with pancakes, so if it’s a weekend, add a little more stress to your day by making it a ‘kids in the kitchen’ day. I promise it’ll be worth it! Adding fruit to the plate adds the important rainbow colors to help boots the nutrient profile & fiber of this breakfast. Additionally, that lovely, melting wodge of beautiful grass-fed butter is an incredible source of important fat soluble vitamins for your tiny human (vitamins A,D,E,K). The more grass the cows eat, the better the butter. I really like Kerrygold and Calon Wen. 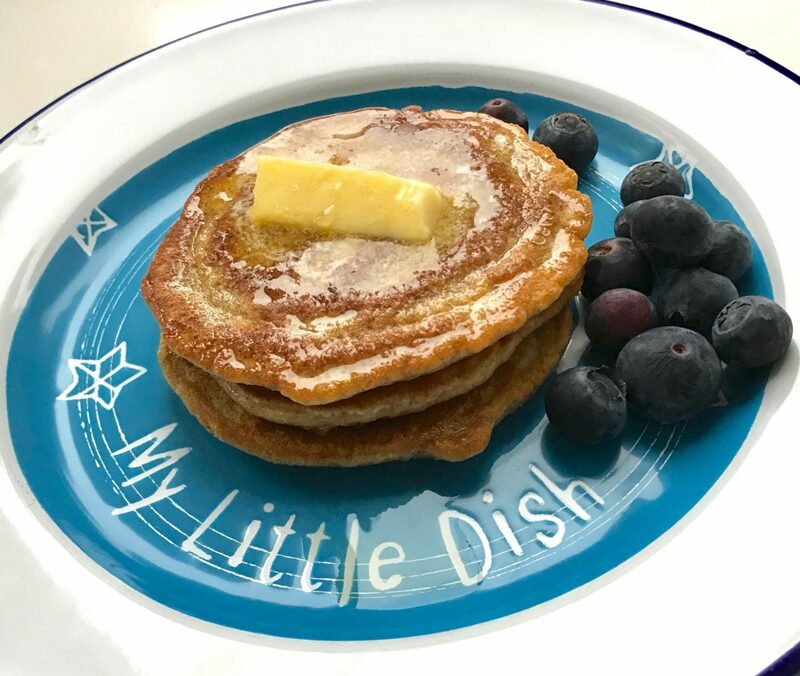 If your kid won’t eat eggs as a food on their own, which is another massively nourishing food for little ones, then baking them or popping them into pancakes will help to solve that problem, and get this nutrient dense power food into your tiny human.